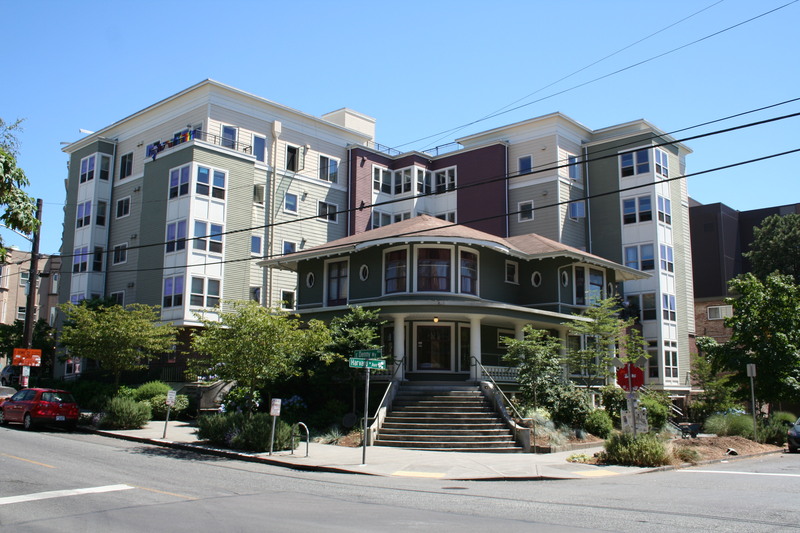 Pantages Apartments – HV Engineering, Inc.
Seattle, WA – In the Capitol Hill neighborhood, Pantages Apartments combines a rehabilitated, 2-story 1907 residence, a City of Seattle landmark, with a newly constructed, 5-story new apartment building providing 49 units of affordable housing. Sustainable design strategies for the project hinge on the reuse of Pantages House, with its exterior restored and interior reconifgured to accommodate four residential units, a library, and meeting area. In addition, a large cistern stores rainwater to use for on-site irrigation and serves as a focal courtyard feature.